We live in a world where every kid grows up in a specific environment, in a different culture and speaks a language that we might not understand. With Kids Like Me you are going to learn how children live in other countries, but also that all of us are kids: we want to play and laugh and we have dreams and wishes. Kids Like Me wants to bring peace to the world and you can be part of this project by sending us your story. Here you have Kids Atlas 3D, an amazing world atlas game to make geography addictive and engaging for kids. Atlas 3D for Kids is a game that gives kids a chance to explore our planet through challenging activities and games. It features engaging lessons that teach them about rivers, animals, mountains, volcanoes, geography, countries, world capitals, flags and many more elements of learning geography. Teach your kids about the many beautiful things of the world with the Little Explorers app for IOS. 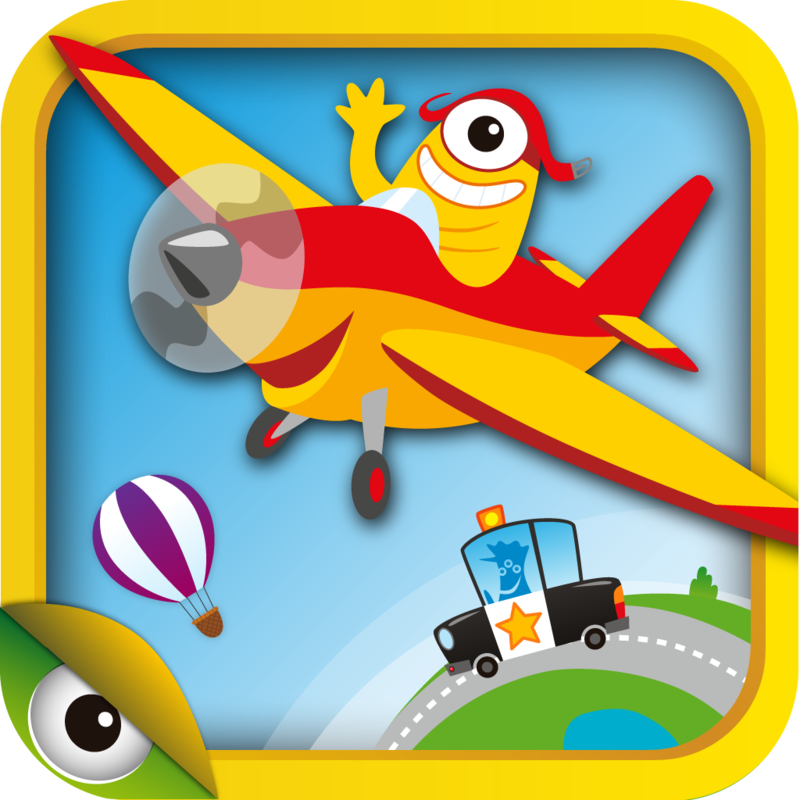 Little Explorers for iPhone and iPad is filled with fun and engaging games, videos, and adventures that let kids explore animals, dinosaurs, music, fashion costumes, geography, flags, cities..... Little Explorers features a lot of apps in one. This app has FREE content with Inappurchases, with no third-party ads and available in 13 languages. Which ancient civilization would your child like to belong to? Greeks, Egyptians or Romans? In this app you are going to find information, images, curiosities and a huge quantity of activities to learn more about these three civilizations. It is a growing app as long as we are preparing more civilizations, and we have opened to the public a new channel to suggest us another part of the history to be discovered. 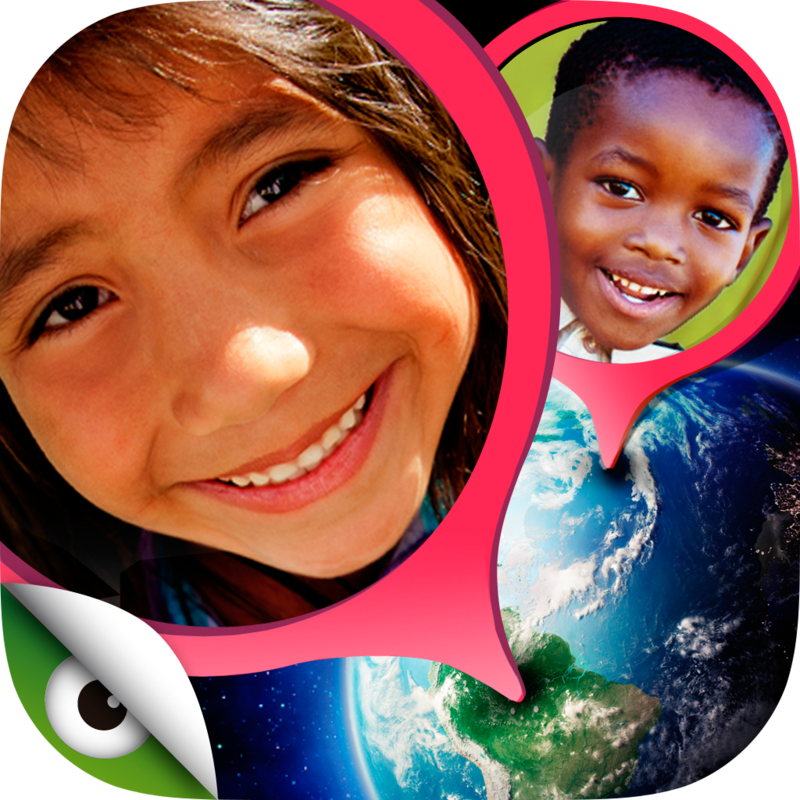 An app created for children to become explorers of our world. In Kids World Cultures they will find information about cultures, animals, music, food, costumes, geography and more. Moreover, they are going to be able to track their progresses with a passport until they become Explorers. Put the world in their hands and inspire a love for our planet while they are discovering the diverse world we live in. It is the perfect app for learning more about the USA! 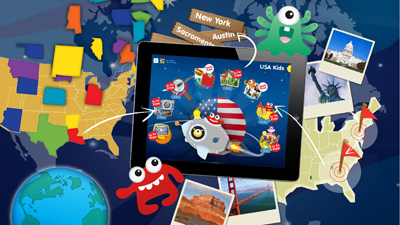 Kids U.S. Atlas is an ideal app for children to explore the states, the lakes, the rivers, the animals and even the World Heritage sites from the USA among other categories. This app has a wide range of activities and information to learn more about this huge nation while kids are playing and having fun. With Little dinos the youngest of the family will be able to discover the world of dinos. This app is full of puzzles, visual acuity games, memory, flashcards, find the difference, paint ... and much more for kids aged 2 years and above. Kids will have hours of fun as they explore and learn all about the dinos. 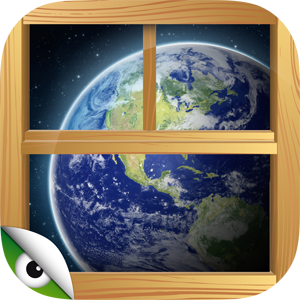 A geography app to play, learn and discover the world. 7 apps in the same one. With this app your children will learn a lot about rivers, animals, seas, mountains, weather and much more. Kids World Atlas includes more than 200 images and 42 games and activities such as quiz, puzzles, order the elements... There are many activities where children are going to be able to show what they know about the world around us. The magic world fascinates the littlest of the house. For this reason this application will help them to discover this world with a huge amount of games and activities. With Planet Halloween they will discover not only witches and ghosts, but also fairies and even elves. 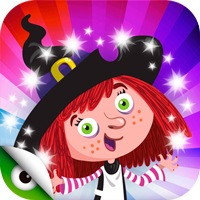 An application full of fantasy that will not let children lose their magic. Developed with teachers and including school curriculum elements, Planet Geo has a wide range of activities and information for children and teens to learn about the world around us. With continent-themed puzzles to solve, cities to find, national flags and anthems to uncover, it also features games with facts, information and images of UNESCO’s World Heritage sites from around the world. The perfect app for Geography! Kids Planet Discovery - This full-length feature app brings to life our wonderful and amazing world, packed with activities for kids and families to explore our cultures, continents, animals, music and much more. Selected by Apple for inclusion in both their ‘World Cultures Collection' and ‘Best Apps for Elementary School’ categories, it has also topped the ratings in dozens of specialist blogs. With these amazing 10 shops or stores, you can now turn your iPhone or iPad into a 'Store Play Set'! With engaging graphics & delightful characters this educational app is a fun way to practise sums and counting. Kids will have fun for hours as they learn and explore maths and numbers! Young children and non-readers will have hours of fun exploring the world of dinosaurs in Planet Dinos. With more than 100 activities including paint & color, puzzles, spot the differences, memory games and many more. Planet Dinos comes with 8 languages to choose from and is available for Apple and Android devides. It is our most downloaded app. One application related to clowns. Apart from having the functions that can be found in other apps; this one also includes two new functions: one space where the videos and images of “Clowns without borders” can be seen and another space where it will be possible to take photos of you imitating the clowns’ faces that appear in the screen. This app is a really fun way to have a good time with these funny characters. Learning the numbers until now wasn’t so funny, but with Robots and Numbers it will be. With this app the littlest can have their first contacts with the number in the funniest possible way. You can choose between two levels: numbers from 1 to 5 and numbers from 5 to 10. With the robots kids will learn to count and recognize the numbers with games as puzzles fill the gaps or connect the dots. It’s one funny and educative application for the littlest ones. Enjoy discovering vehicles with child-safety games and have fun for hours as they learn and explore land, sea and air transport (ships, planes, cars, trucks, trains, balloons, submarines, etc). In this app you will find puzzles, games needing a keen eye, flashcards, spot the differences, painting and much more for your kids. Planet Go contains 100 games, with different levels of difficulty and content for children aged 2 years and older. As one of the most diverse countries in the world, USA for Kids is an ideal app for kids to learn more about this giant nation. Explore the states and cities; uncover information about the presidents; discover American sport, music and more with our fun, educational activities. A perfect starting point if you are planning to visit the USA with your kids! Pirates have always been a favorite in children’s stories and with these fun, uniquely illustrated characters, kids can discover the Pirate world while they have fun playing over 100 different activities including games, puzzles, paintings, memory games and many more. Enjoy discovering the world of fantasy with games and adventures for children of all ages. This app is great for kids, with its 8 amazing worlds plus engaging graphics and enchanting characters, this is a great app for kids. Dress up has all your favorite fairytale characters and a full wardrobe to try! Kids can have fun dressing-up characters in unusual clothes and save the look to share later and learn more about the world’s national costumes. Young children and non-readers will have hours of fun exploring the world of unicorns in Planet Unicorns. With 6 apps within the same one with lots of activities including memory games, puzzles, spot the difference or even the possibility to dress up your unicorn. Children will develop their skills while they are playing and learning with these funny animals.